This is our 15th year of having the Christmas Giving Tree. 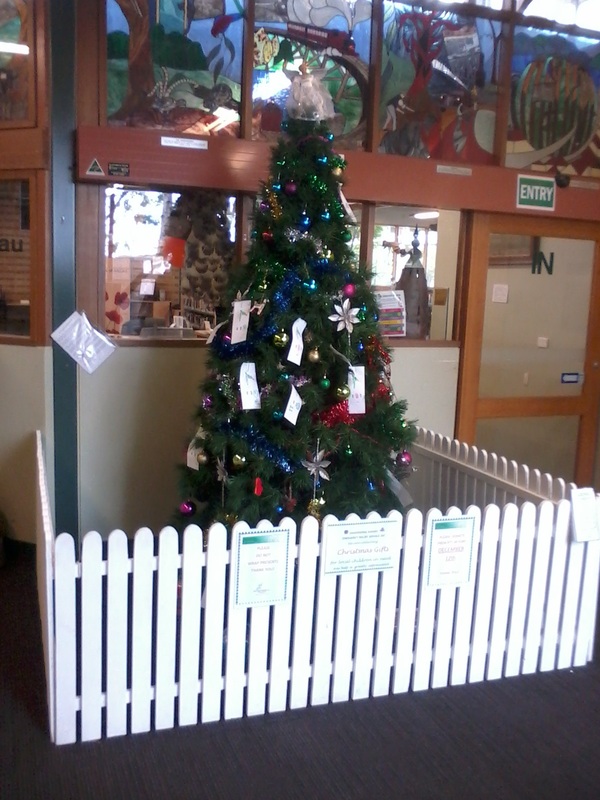 You can help us to help others by leaving a gift under our Giving Tree (located in the Belgrave Library). You can leave the gift unwrapped so that we can display them for parents to choose a gift for their child. If you are unsure about leaving the gift under the Tree, the lovely staff at Belgrave Library will look after the gift for us. To everyone who has already left gifts this year and in previous years, thank you. To everyone who will leave gifts in the future, thank you. The last day for donating gifts under the tree this year is Friday 11th December 2015. This year has been going very quickly, and it’s business as usual. We have already come close to running out of food a couple of times. We are seeing an increase in the number of people who are homeless needing help. Now that Easter has passed the weather will start to turn colder. It is during this time of year that we start to think of stocking up on tinned soups and meals in a can. If you would like to donate some to us we would be grateful. Are you concerned about your own mental health or someone else’s? If so, come to the Tin Shed in Belgrave (1623 Burwood Highway) on a Tuesday between 11:30 am and 1:30 pm and speak to Lauren. Lauren is there to help people to have a flexible and local access point and process for people experiencing severe and persistent mental health issues. Lauren is from Partners In Recovery (PIR). 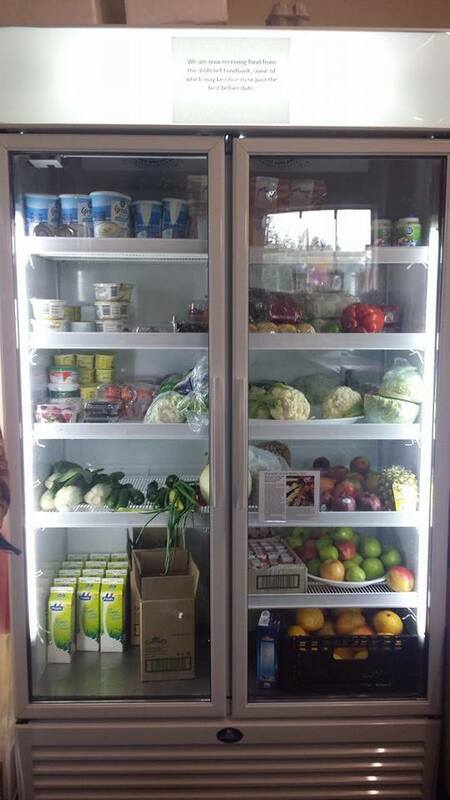 Our large 2 door fridge is now back in action after breaking down recently which left us with less food to offer. We’re happy to be able to fill the shelves with food once again for people in need. Well, the cold weather has really arrived now. To help keep those in need in our community warm, the lovely people at Belgrave South Baptist Church have had a canned food drive. 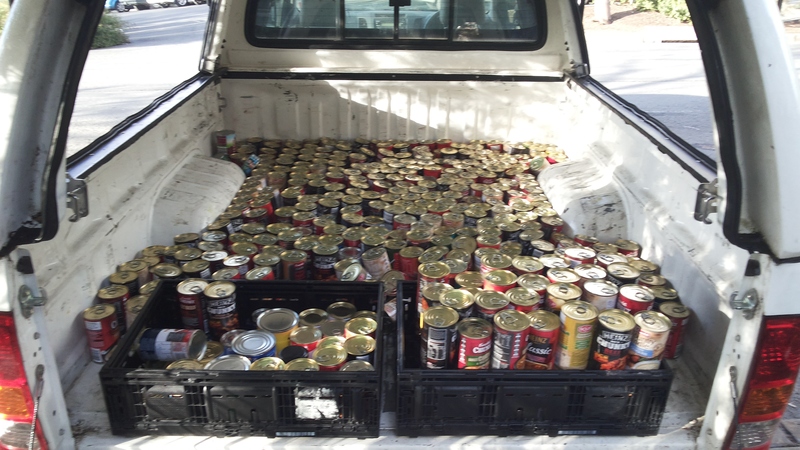 Guess how many cans they donated to DRERS? An amazing amount……OVER 400!!!!! Thanks so much to Andrew and all at BSBC!